Google has been trying to make it easier for OEMs to push out Android updates to their phones. Almost every year, we hear the Internet get excited about a new Android feature that will make it easier for users to receive Android updates. But numbers show that most OEMs have actually only become worse at providing Android updates. It has been about 6 months since Android Oreo was released. The world’s largest smartphone maker, and the largest Android manufacturer, Samsung, only recently got around to pushing out updates for its latest S series flagship, the Galaxy S8, and S8 Plus. The previous S series flagships are yet to get lucky. But thanks to a leaked Android Oreo firmware for the Samsung Galaxy S7 Edge, you don’t have to wait. 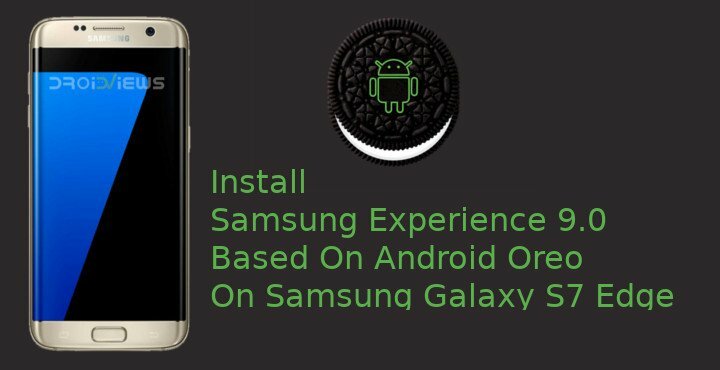 You can install Android Oreo with Samsung Experience 9.0 on Galaxy S7 Edge right now. The said firmware was leaked by SamsungVN member @hiepgia and has been made into a ROM that works on the Samsung Galaxy S7 Edge by XDA member ProtoDeVNan0. This firmware was apparently rolled out (accidentally) to some Galaxy S7 Edge devices in Vietnam, even before the Galaxy S8 got its update. That didn’t make sense and the reports were widely considered fake until the firmware was out in the open too. 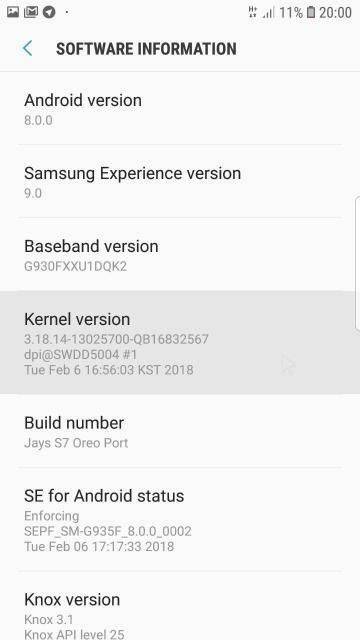 This ROM brings Samsung Experience 9.0 built atop Android 8.0 Oreo to the S7 Edge, i.e. G935F. Keep in mind this is not for the G930F which is the normal Galaxy S7. Also, remember this is a ROM based on the firmware, not the actual firmware. The developer mentions that it has been debloated. Installing third-party mods and ROMs on your device voids your warranty and is also a risky endeavor. 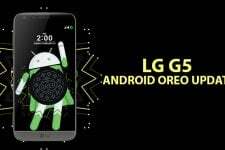 As has been mentioned, the ROM is based on a leaked Oreo firmware. If Samsung hasn’t rolled out the firmware officially, it may be because of a good reason. Neither DroidViews nor the developer of this ROM can be held responsible for any harm that comes to your device. Make sure you understand the responsibility is your own if you decide to proceed with the installation. That said, several users have successfully tested the ROM following the procedure mentioned below. 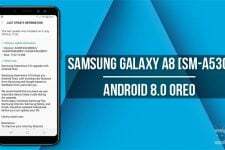 It has been reported that the Oreo firmware has a different partition structure than the previous Samsung firmware. Had that not been the case, you could simply flash the ROM on top of your current firmware and it might have worked. Since some users have reported otherwise, it would be a good idea to just format your device. A Galaxy S7 Edge with an unlocked bootloader. Your device also must have TWRP recovery already installed. You can learn how to do this by following this link – Install TWRP & Root Galaxy S7 and S7 Edge on Nougat Firmware. Download the ROM zip from the link provided above. Transfer it to your device’s internal storage, or an external microSD card/USB OTG if you use one. Reboot your Galaxy S7 Edge into recovery mode. Press and hold the Volume Up button as well as the Home button. Your S7 Edge should now be in TWRP recovery. In the recovery, select Wipe > Advanced Wipe and select all the partitions except the Internal storage, unless you do want to wipe the internal storage as well. Swipe at the bottom to format the device. Transfer the ROM zip to your Galaxy S7 Edge now over an MTP connection, if you haven’t already. Or you can transfer it to an external microSD card or a USB OTG and plug it into the device. On the TWRP main menu, select Install, navigate to and select the ROM zip and swipe at the bottom to flash. The ROM is based on stock Samsung firmware and hence, it’s a large file. The flashing can take a couple of minutes or more. Once completed though, you can simply tap on the Reboot system button that appears. 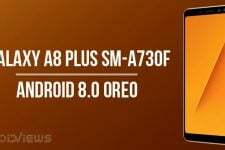 You should soon be greeted with the bootanimation, and a new Android Oreo-based Samsung Experience 9.0 awaiting behind it. The first boot could take several minutes.